While the claims process isn’t something many eagerly look forward to, there are definitely ways you can make it a less stressful experience. To help you successfully navigate the process, here are several tips for effectively and efficiently filing claims. 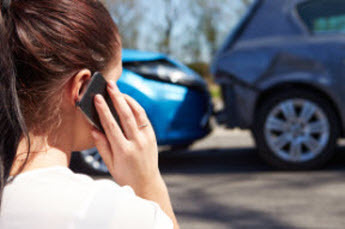 In the event of a potential claim, it’s best to contact your agent directly instead of the broader insurance provider. Your agent will be able to explain your options and advise on whether filing a claim is in your best interest. In some cases, your agent may even file the claim for you. Always file your claim as soon as you possibly can. Of course, theft losses should be reported to the police first, and in other situations of danger and urgency, safety takes priority. But once it’s safe and reasonable to do so, you should contact your insurance agent. This is important because your policy might require you to make the notification within a certain amount of time. Not filing a claim within the time required in your policy may lead to a denial of the claim or may result in the claims process taking longer. If you’re dealing with property damage it may be necessary to make immediate emergency repairs to prevent additional damages, such as calling a plumber to repair a broken pipe. Your policy might cover the costs of these emergency repairs, so be sure to inquire about them when filing the claim. It is also important to take photos or even videos before making the repairs, and save the receipts from all of the work that is done. Don’t be afraid to ask your claims representative for more information or clarification. The process will go much more smoothly if you are both on the same page and fully understand each other. For example, if there is a disagreement about the coverage of the claim, ask for the specific language in the policy that is in question to find out if it is a matter of differing interpretations. 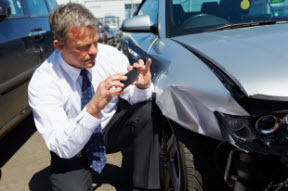 Overall, it’s important to have patience because every insurance claim is different! Some may be completed quickly, while others may take a few weeks or even months to be resolved. You never know when problems will arise, but these tips can help you to effectively address the situations and smoothly navigate the claims process.